As far as I’ve been able to tell so far, Final Fantasy XV will be about four bros driving around in a sweet car and broing it up on a road-trip occasionally punctuated by fights. 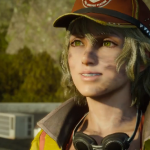 This new trailer from the weekend’s Jump Festa event in Japan actually confirms that, yes, this is the plot of Final Fantasy XV. But it gives some background for why they’re on the roadtrip in the first place, which is a looming war. This fun new video from DidYouKnowGaming gives us an overview of all of the things that were left on the cutting room floor when designing the original Fallout, the groundbreaking apocalyptic RPG. Much of the cut content revolved around the game’s early use of the GURPS (Generic Universal RolePlaying) system, which the nerdier among you may remember from pen and paper role-playing sessions in musty basements. 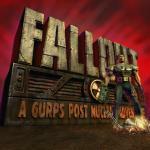 GURPS was abandoned early in development after a dispute about the game’s violence and replaced with Fallout’s iconic SPECIAL system, but a few elements from it made it into an early demo. Hey, we can’t all be at our computers whenever a live-stream is on. That’s why nice people like Shawn Brunelle capture important streams like ESO Live, ZeniMax’s regular livestream of what’s coming up in ESO. 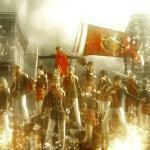 I have to admire Square Enix’s commitment to world-building in its latest pair of trailers for Final Fantasy Type-0 HD. It’d be easy to just show some glamor shots of this rezzed-up PSP title, but instead we have what’s styled as a “public enemies” propaganda broadcast from the game’s government, accusing the game’s heroes of treason. This trailer is styled as the government’s response to an earlier trailer that showed the protagonists in a positive light. Looks like Geralt won’t be tackling his new adventure alone in The Witcher 3: Wild Hunt. 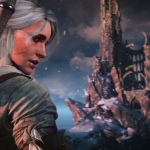 CD Projekt RED has revealed the game’s second playable character, Ciri. 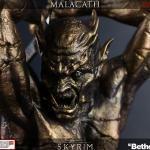 Show Your Respect For the Daedra With Shrine of Malacath Statue Malacath is “the god of curses, the betrayed and ostracized.” So of course he’ll make a fine mantle piece for your tastefully decorated home. This new Skyrim-inspired statue from Gaming Heads captures the outsider Daedric Lord in all his terrible glory. The statue is 15 inches tall and will set you back $199 for a standard gray polystone edition. For $209.99 you can class things up considerably, adding a faux-bronze finish to the statue. You can find out more here at Gaming Heads. ZeniMax Encourages ESO Players to Try Undaunted Daily Quests If all you know about Undaunted quests in ESO is that some players get scary monster masks from them, ZeniMax wants to change that. 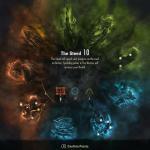 It has produced a guide to help those who haven’t tried the undaunted quests jump in. 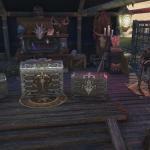 The guide explains how to sign up for the Undaunted quests, only available to level 45 and up characters, which involves signing a pledge to take on tough foes. There are two ranks for the pledges, the standard that open up at level 45 and the Veteran Rank pledges that are only available at Veteran Rank I. Square Enix Confirms FFX/X-2 HD Remaster Coming to PS4 After trolling PlayStation Experience attendees over the weekend with a big Final Fantasy VII reveal that just turned out to be a port for PS4, not the HD remake nerds have long dreamed of, Square Enix is now on a porting roll. 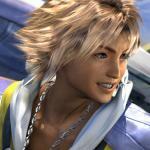 The company has today confirmed rumors that it will be releasing the remastered versions of Final Fantasy X and Final Fantasy X-2 HD on PS4 as well. There’s no indication that these will be anything other than the HD versions we’ve already seen on PS3 and Vita, though. 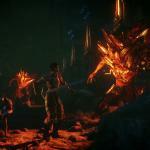 Dragon Age: Inquisition Patches Out Awkward Silences, Gender Confusion and Other Bugs Yesterday, BioWare released a patch for Dragon Age: Inquisition that was intended to fix one of the more annoying bugs in the game. When you get the bug instead of having a snappy conversation and moving on to their next line the other player says their line and looks soulfully into your eyes, waiting for a response that you can’t make until the awkward silence is just too, too much. Usually you have to skip a line of dialogue to get out of it. 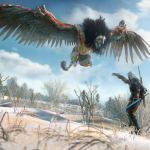 The Witcher 3: Wild Hunt Delayed Again The Witcher 3: Wild Hunt has been delayed once again. The ambitious open-world RPG’s release date has been moved from Feb. 24 to May 19, 2015. 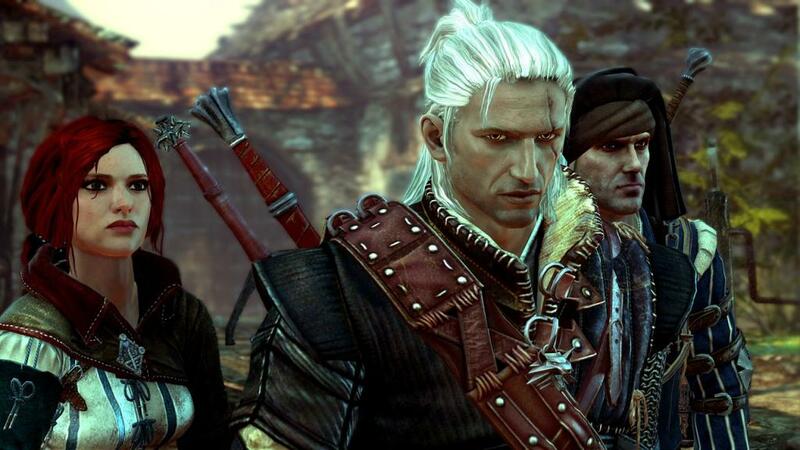 This is the second setback for Geralt’s third adventure, which was originally supposed to hit in May, 2014.